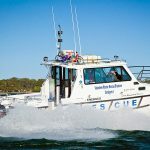 VMR Brisbane is a non-profit volunteer organisation whose primary purpose is to provide marine search and rescue services to the boating public in Moreton Bay and surrounding waterways. Our base is strategically located at Shorncliffe, adjacent to Brisbane Airport and the Port of Brisbane. We work closely with other Emergency Services organisations including the Qld Water Police, Qld Ambulance Service and the SES. 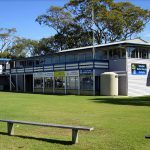 Affiliated with VMR Brisbane are the Sandgate Yacht Club, Sandgate Canoe Club and the Polynesian Va’a-alo Outrigger Canoe Club. Further, we provide facilities and assistance to various local volunteer organisations, clubs and schools. 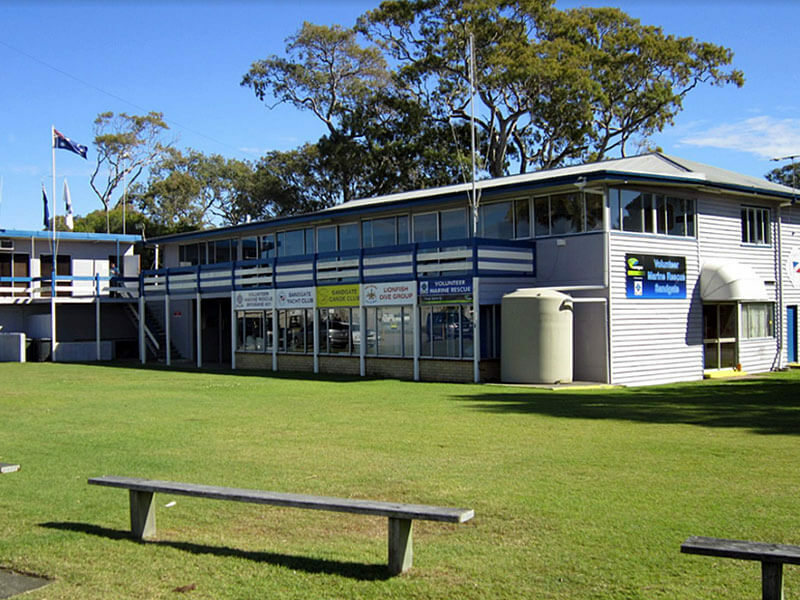 Our history can be traced to the foundation of the Sandgate Yacht Club in 1912. After fifty years of success, membership was opened to owners of power vessels. 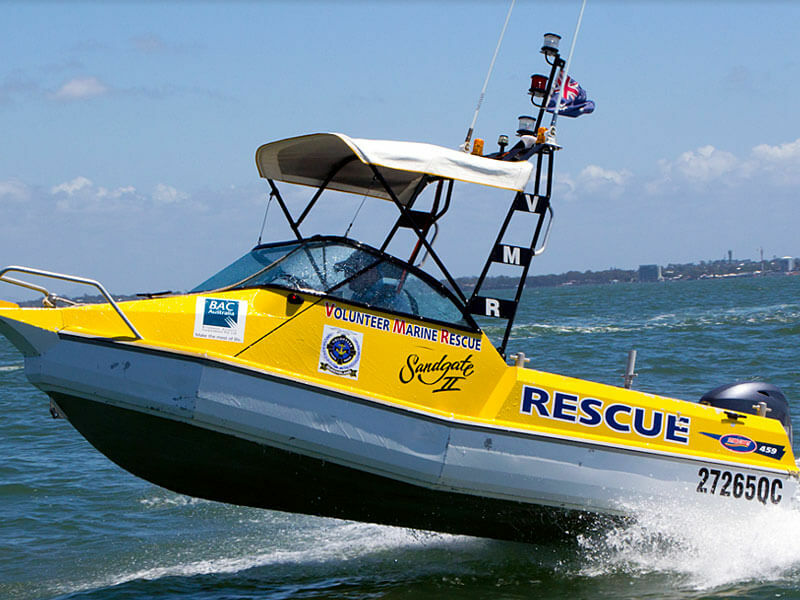 Shortly after 1969, the Sandgate Yacht Club Search and Rescue Squad was formed. 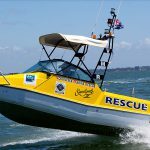 After a few name changes, we became known as Volunteer Marine Rescue Brisbane Inc. in 1990. Our search and rescue services are provided by our volunteer Duty Crew members. Our Duty Crew members attend our Operations Centre to maintain a vessel monitoring service and provide assistance as required every weekend and Public holiday from 0600 hours until 1700 hours. Duty Crew members are on standby 24/7 and can be contacted by calling 0428 022 881 for emergencies after hours. We currently operate three specially built rescue vessels. 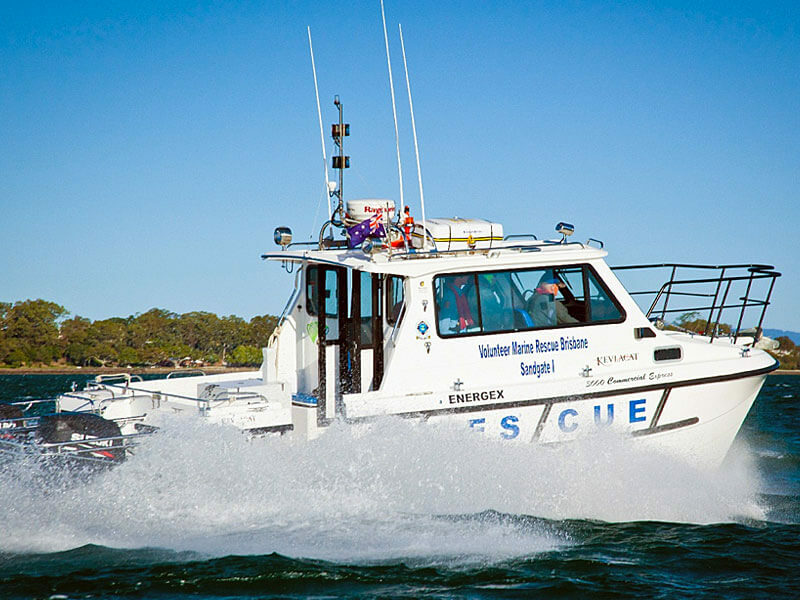 Our primary rescue vessel is a Kevlacat 3000 powered by twin 250hp Suzuki four-stroke outboards. Our second vessel is a 5.9m Swift inflatable RIB powered by a 175hp Suzuki motor. Our third vessel is a 4.59m Stabicraft, for inshore work, and is powered by a 50hp Honda four-stroke outboard. All vessels are fitted with all the required safety equipment, radios, and additional equipment necessary for operations in our area.